Dr. Jane Kise is respected throughout the world as a thought leader in psychological type. The author or co-author of over 20 books on personality, education, and leadership, Jane’s understanding of the 16 psychological types is profound and exhaustive. Her motivation to develop new tools and applications—such as 16 Style Types—stems from over 25 years of watching lives change as people discover more about who they were meant to be and how to improve their relationships with themselves and with others. Jane’s primary passion is working with schools, with the goal of creating places where every adult and child feels welcomed, capable, and engaged by the lifelong task of learning. Whether in schools or organizations, Jane facilitates team building, leadership coaching, and educational development. Her books include Intentional Leadership, A Woman’s School Leadership Journey, Differentiated Coaching, LifeKeys and Unleashing the Positive Power of Differences. Jane’s interest in style developed through her own journey in dressing professionally while avoiding the corporate ‘uniform.’ Early on, she learned that colleagues with certain personality preferences were invaluable in helping her craft a unique, personally meaningful style that worked within organizations and out of a suitcase. Jill Chivers became one of her style advisers almost as quickly as they became good friends and colleagues. Jill also introduced Jane to Imogen Lamport, and the depth of Imogen’s color analysis process furthered Jane and Jill’s belief that there were valuable connections between type and style, leading to the research behind 16 Style Types. Jane holds an MBA in Finance and a doctorate in Educational Leadership from the University of St. Thomas, where she currently teaches in the doctoral program. 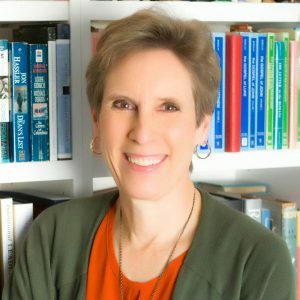 In addition to being an MBTI® Master Practitioner, she is certified in MBTI® Steps II and III, the EQ-i 2.0, and the Hogan Assessment suite, as well as being a certified Neuroscience of Personality practitioner. She is the Course Leader for TypePro Education, an online certification program to certify educators in the use of psychological type. Jane’s client roster is impressive and global, with clients in North America and in Australia, New Zealand, Europe and Saudi Arabia, including NASA, various public and private schools, Minnesota State Colleges and Universities, and Twin Cities Public Television. Jane is a favorite keynote speaker at international conferences and has presented at Learning Forward, ICF Midwest, ASCD, NCTM, World Futures, and Association of Psychological Type International (APTI) conferences in Australia, New Zealand, Europe, the UK, and the US. Jane served as Director of Finance and then President of the Association of Psychological Type International (APTI). Jane has been awarded the Gordon Lawrence Educational Achievement Award and the Isabel Briggs Myers Award for Outstanding Research in the Field of Psychological Type.